I get lots of questions from all kinds of folks asking me how I got into the work I do. You may be interested in that too. So I thought I would share this interview I did a while back for a podcast I was on. Interview Question #1: Did you begin this vocational path and start the Center for Pet Loss Grief because of your own experience losing Marley? Losing Marley to a tragic disease was ultimately what inspired me to refocus the work that I do for animals and their people. 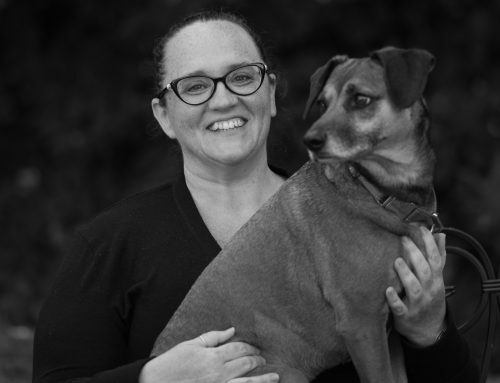 For over 16 years I was a massage therapist for humans, horses, and hounds. My animal practice by default was based in pet hospice. People would call me wanting to do something special for their companion at the end of their life. I didn’t advertise this – yet the universe offered me this very tender and special avocation. My work grew in this field and as a pioneer, I offered many animals a peaceful death. While giving massages people would express their grief. I would quietly listen and hear the pain they were experiencing as they expressed the chaos and complexity of their journey. It seemed as if I was being guided to help and translate the power of death, and how this experience can actually give way to life for these people. With each experience, my practice grew by word of mouth and I was then being asked to be part of euthanasia – supporting not only the pet but the person as well. I felt honored to become part of this personal event. When Marley was diagnosed with nasosarcoma my life was crushed. I was losing my best friend, my confidant, my life partner and business associate (she helped me with my clients.) I tried to find help for myself and there was nothing available of quality or depth that represented the life I had with Marley. That is when I studied to become a certified end of life and pet loss grief coach and open Center for Pet Loss Grief which offers complete and intuitive heart-based support for people who are either losing a pet, a pet has already died and animal Mediumship services for those that would like to know more about their pet in the afterlife. Interview Question #2: Are the steps of grief that most humans go through in losing a loved one (shock, denial, anger, guilt, etc.) the same when they lose a pet? Yes, the stages of grief are the same when losing a human loved one and when they lose a pet. However, in my experience, is the death of a companion animal is usually more intense. Our animals give us unconditional love and when we lose that everyday physical reminder of how wonderful we are it is easy for our lives to become chaotic and empty. Unconditional love is what our animals excel in. Yes, we love our human family and friends and they love us. Yet, is it without expectation? Probably not. So the impact and grief of losing a do are usually greater than when a friend or family member dies. I teach my clients that grief has a life of its own and embracing the 7-stages of grief can be extremely helpful when coping and healing the grief journey. Yet grief is not about following a prescribed list. Grief is tenacious and can dig deep into the heart. It affects daily routines and can leave someone feeling very hopeless. The 7-stages of grief are extremely valuable; the order in which people experience them is truly up to them. It is important to let them unfold naturally. Interview Question #4: When someone you know experiences the loss of their dog, what is the best thing you can say or do for them? What should you avoid saying? The best thing a person can do for someone when they are experiencing grief to be there for them as a listening ear. Don’t avoid them or the subject. Provide a safe environment to express themselves. This is not easy for people to do because as a society we have gotten very distant from the dying process. We view death as something to be afraid of and avoided. It can be difficult to know what to say at the right time and we can find ourselves bumbling for words. If you know someone who has lost their dog the best is to prepare yourself ahead of time to become aware of unintentional yet potential hurtful comments. Here is a list of statements to avoid saying to someone whose dog has been diagnosed with a terminal disease or has died. I go into these statements more in my books but you can get a general idea here. It’s only a dog you can get another. Let me tell you what I did after my dog died. Being there as a thoughtful and compassionate friend will mean so much to the person that is grieving the loss of their pet. Offering unconditional love is paramount. A couple of things. If the person is spiritual in nature and believes in the afterlife getting intuitive messages from their pet really helps. So many of my clients feel guilty they didn’t do enough for their dog. And they want to apologize and tell their pet that they love them. Even though it may not be of physical nature they can continue on a spiritual level to have a lifetime of connection with their companion. Our animals become part of our souls, part of our hearts. This soul connection never goes away, even at the end of life. The other is when people begin to recognize that what they are feeling and experiencing is normal. There are so many unexpected emotions and levels of pet loss grief. Once my clients learn that and recognize what they are going through is perfectly normal it helps make their journey feel more supported. Interview Question #5: After the death of a pet, do you recommend getting a new pet right away? This can be an excruciating decision and one that people are never one hundred percent confident about when a loss is new. For some of my clients, opening their hearts to a new companion right after their companion dies is extremely helpful. Yet for other clients, it can take a long time before they are ready. For others, they never are able to have another pet because the pain is so intense. Because grief is unique for everyone and how it is processed making the decision when to get another animal is a personal choice. Here are some things to keep in mind that I share with my clients and what I talk about in more detail in my books. No matter where you are with your grief, the action of bringing another companion into your life can trigger feelings of loss that you thought you had already dealt with. 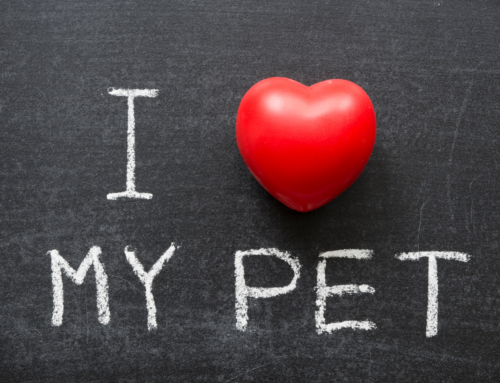 There is no right or wrong time to bring another pet into your life. It is up to you. Give yourself time to grieve and think. Don’t give into the pressure of others or make a hasty decision. Interview Question #6: What, if anything, can you do while your beloved companion is still living and healthy to prepare you for their loss? There are many things people can do while their dog, cat, horse, etc. is still living and healthy. I find when people prepare for the end of the life; it can be less chaotic. This is not to say people won’t feel grief and be devastated but the more one prepares for them not being physical with them the more they can have complete focus on their animal when they need their person the most. I encourage people to do lists. As lists keep anxiety and feelings of grief in check. It allows you to focus on the tasks at hand of taking care of your pet during their final days, hours and months. Checklists are great for creating goals and staying on task. It helps people move through the day with their companion with more love and less chaos. It is easy to forget things, be disorganized, and not be prepared for important decisions and events that will occur. A checklist will help with making decisions, choosing veterinarians, and be the best advocate they can for their companion. What do you recommend to do to get you through a crushing loss of a beloved pet? Interview Question #7: What do you recommend to do to get you through a crushing loss of a beloved pet? I recommend self-care for clients. Massage, support groups, healthy eating, and finding safe and supportive friends. All of these activities will help the body, mind, and spirit as they walk this journey. I always encourage my clients to take this grief experience by the hand and give it the love and courage it needs. Be kind and limit expectations of one’s self. Be careful of what you take in from people around you. People not experiencing pet loss are going to want to fix things and make life better, which will create another reaction of grief. It takes work to cope with the loss of a beloved companion. Grief, unfortunately, doesn’t magically go away. It has a way of hiding and encouraging people to forget. Yet, it can resurface and most times unexpectedly so being prepared and learning everything one can about what their journey is will help. Interview Questions #8: What do you recommend if there is a lot of guilt involved with the passing of a pet (i.e., “I could have done more.” “If only I was more diligent with his health care” etc.) or anger (at the Vet, or if another person was responsible for their death)? Guilt is one of the most common and normal feelings of grief surrounding the death of a pet. Guilt is a tenacious emotion that can get in the way of a person’s healing and also surface when a person least expects it. Generally, I recommend self-compassion for this emotion. As humans who love our animals we can really beat ourselves up for not doing better. When people work with me before their pet dies I support them by encouraging them to be as prepared as they can by picking a health care team that is in their best interest. Having a professional team that respects their decision and wishes helps keep guilt at a minimum. However, if this is not obtainable or their companion has already died I continue to encourage people to be kindhearted with themselves and discover ways in which they feel good about the care they did give their critters. I remind my clients that it takes work to heal guilt. And to feel comfortable with the fact healing will take time. Their companion was really special and it is important to allow emotions to happen and experience them. Feelings of grief will not go away on their own, it takes work—and that is okay. Interview Question #9: Do pets grieve when they lose a human family member? What about when they lose a close canine/feline/equine friend? Yes, pets do grieve when they lose a human family member and I have helped service, therapy, and family pets that have experienced grief. It can be a very confusing time for a dog, cat, or horse when their person dies, goes away to college or experiences separation in a divorce situation. It is important for us to recognize and provide a healthy transition for our animals when this happens. I have found it helpful to encourage my clients to have a verbal one-on-one conversation with them. This gives them the chance to explain to them what happened. Yet, sometimes it can be more complex, and take more time for the adjustment to occur. If this is the case, many of my clients have asked me for an animal communication session. An animal communication session is where I experience contact with the energy or spirit of the animal. The role that I take is to translate and communicate messages from a pet to the person that shared their life with the pet. This way a person can get an idea of how their companion is feeling. When a canine/feline/equine friend dies they experience loss and do grieve. They can become lethargic, solitary, and not want to eat. ANimals build deep bonds with other animals, especially with their doggy friends. Since dogs are pack animals they thrive when they experience life with another canine. Their canine friends become part of their routine and life force. 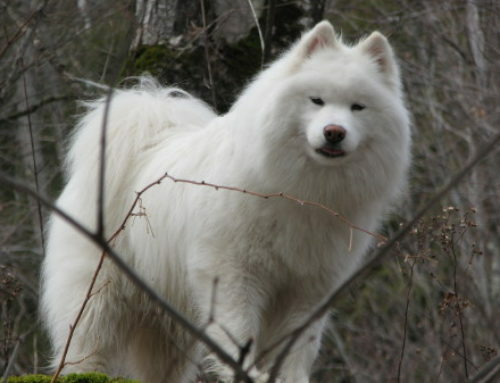 They depend on their canine friends for play, companionship, and support for various situations in their life. Interview Question #10: Do you believe that our pets tell us when they are near or ready to pass on? Our beloved companions are always communicating to us through their body language and deep soul heart connection. When we learn to listen to them they will tell us. Interview Question #11: Can you share one of your favorite stories about pet grief support? One of my favorite stories is when I was helping a client discover the positive and restorative rewards of writing a love letter to her dog Freddy. 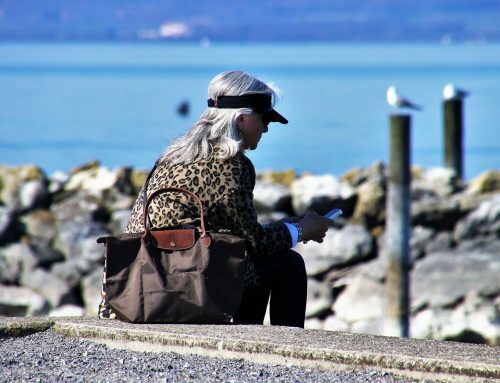 Karen discovered that her grief was starting to affect her life to the point of not being able to go to work or talk with friends. She was really stressed that she didn’t have a special way to express her love for Freddy. Karen didn’t like to write, however, as we continued to work together I encouraged her to make lists of all her lovely memories of Freddy. Then, a beautiful change happened as she began to create her lists. She discovered that she had forgotten some experiences that she’d had with Freddy, and by writing, she recalled and recaptured the amazing life she’d had with him. When she finished her lists, she then wrote her love letter to Freddy and read it to him at his gravesite. Karen was so excited because after she read the letter to Freddy it increased her understanding of how Freddy helped her be a better person. It also helped her express her grief but recaptured how much they meant to each other. Karen was so happy to celebrate the life she had with Freddy in this way because she learned more about herself through Freddy. It was a powerful and healing declaration of her growth and a processing of her grief in a very healthy way. 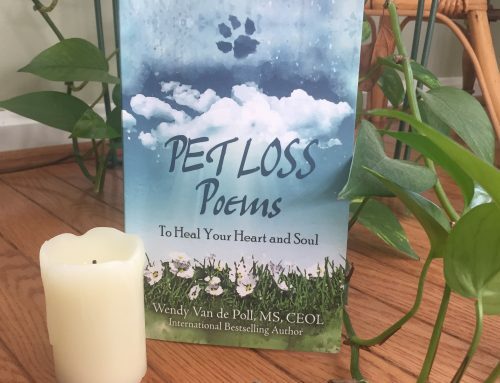 Wendy Van de Poll is a pioneering leader in the field of pet loss grief support and the founder of the Center for Pet Loss Grief. She is an International Bestselling Author. She provides wisdom, joy, and compassion for grief relief in her practice. Wendy is a certified end-of-life and grief coach. You can learn more about her appearances for podcasts, speaking, and educational presentations here. You can also learn about Wendy by visiting her personal page.